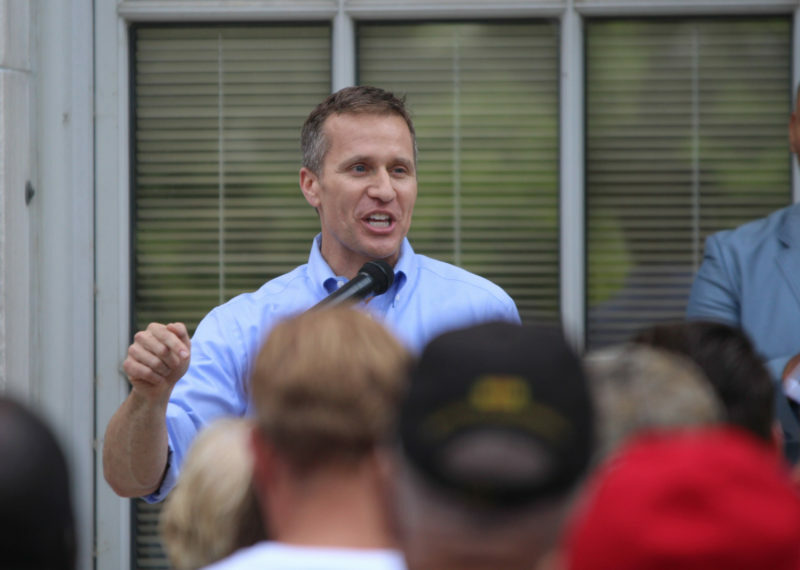 RELEASE: Greitens: How come our administrator pay has been rising more than twice as fast as teacher pay? “Let me tell you why we’re fighting so hard for kids and teachers in Missouri. Today, the system works for insiders and bureaucrats who get paid real well, but it fails too many students, families, and teachers. We know insiders and bureaucrats will lie. You deserve to know the facts. Here’s a lie: Missourians don’t give enough tax money to schools. Here are the facts: Missourians spend about the national average on our schools. I support public schools, and our team supports public schools. We made education a priority. We put more money into schools than ever before in Missouri history. We fully funded K-12 education for the first time in years, and we added $64.6 million to the K-12 budget. Where did that money go? Bureaucrats took it. In our schools, we’ve got too many bureaucrats. We’re top ten in the country for our number of school administrators. And they’re well paid. In fact, in Missouri, administrator pay has been increasing more than twice as fast as teacher pay. Several administrators make more than $250,000.00 a year. Six figures. That money should go into the classroom. It should go to teachers. Our teachers deserve to get paid more. Missouri is ranked 40th in the country in teacher pay. Our pay for starting teachers: 48th in the country. Third worst in the nation. Our teachers deserve better. Our students also deserve better. Here’s a lie: The bureaucrats say our schools are doing just fine, that there’s no need for change. Here are the facts: We need to support teachers, because our schools have been getting worse. From 2009 to 2015, Missouri fell from 18th to 28th in fourth-grade reading and from 23rd to 32nd in eighth-grade math. In fact, even if they graduate, according to ACT testing, three out of every four Missouri kids aren’t fully ready for college. Education Week gave Missouri a D+ for K-12 achievement. This year, we put more money into education than ever before—but the bureaucrats cut the ACT for high schoolers. These aren’t opinions. They are facts. Schools should serve kids. Our kids and families deserve better. They deserve the truth. Here’s why bureaucrats are lying: they’re desperate to prevent change. If things change and people start asking hard questions, they will have to provide clear answers. Question: This year, Missouri’s schools got more money than ever before, so how come teachers didn’t get a bigger raise? Where did the money go? Question: How come our administrator pay has been rising more than twice as fast as teacher pay? These are the facts. These are the questions that need to be asked. I just want to tell you that I am newbie to blogging and honestly liked this blog. More than likely I’m going to bookmark your blog . You absolutely come with fantastic posts. Thanks a lot for sharing with us your web page. ruudkaa,Definitely believe that which you said. Your favourite justification appeared to be on the net the simplest thing to remember of. I am about to start a blog. Along with numerous various other hopeful’s, I want to ultimately generate income off it. I noticed a great deal of sites do not permit you to earn money of google ad sense and also points like that. What are some websites I can start my blog site on that particular will allow this because it appears to be the most profitable method to make money off a blog?. trxprnkz,We have a team of experts who could get you the correct settings for Bellsouth net email login through which, you can easily configure your email account with MS Outlook. Do you have a blog? I have a poetry blog site. =-RRB- If so, what’s your link so I can inspect it out as well as follow you. =-RRB-. I currently have one started. =-RRB-.